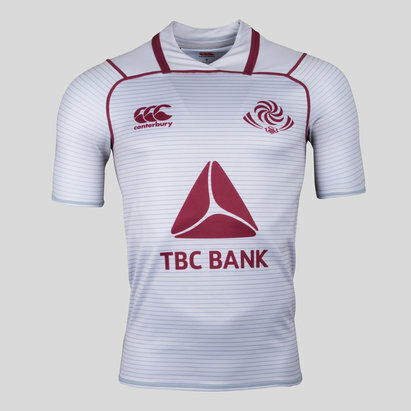 Show your pride in Georgian rugby by pulling on this Georgia 2018/19 Home Pro S/S Rugby Shirt Maroon made by Canterbury. Like Mamuka Gorgodze and the rest of the squad, you could be pulling on the Georgia international home rugby shirt. 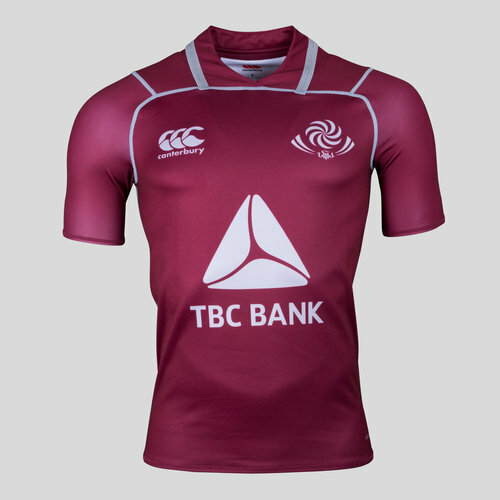 With a replica design of the official players pro shirt, the Georgia rugby jersey is made from polyester and features Canterbury Vapordri technology which helps keep the wearer feeling cooler, drier and more refreshed during the heat of the action thanks to its sweat wicking and quick drying material. Although great for playing and training in, due to its comfortable and more relaxed fit, this Pro Rugby Shirt is better suited as fashionable casualwear for supporters, whether its in the pub or watching the game from the stands. Show loyalty to the Georgian international rugby team by proudly wearing this Georgia 2018/19 Home Pro S/S Rugby Shirt.